Some of the best conversations with my husband have happened at Mexican restaurants. We love Mexican food but it’s usually a treat because many of the dishes are not diet friendly. Like almost everyone else, we too are on a constant quest to lose weight. Since I splurge my calories at dessert time, it’s important to eat healthy dinners. 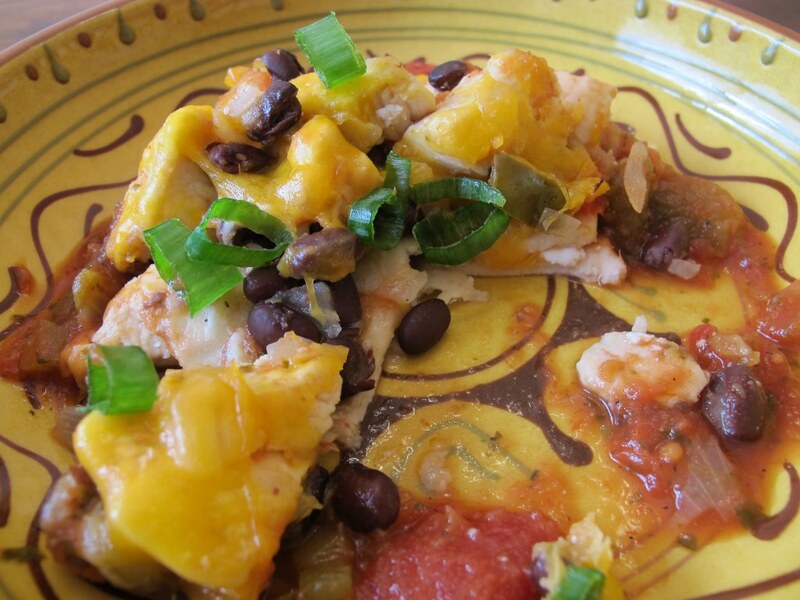 Here enters this “healthified” black bean and chicken chilaquiles dish! The original chilaquiles dish uses full-fat cheeses and fried tortilla strips. While that sounds absolutely fantastic, my waistline would not be happy with me. 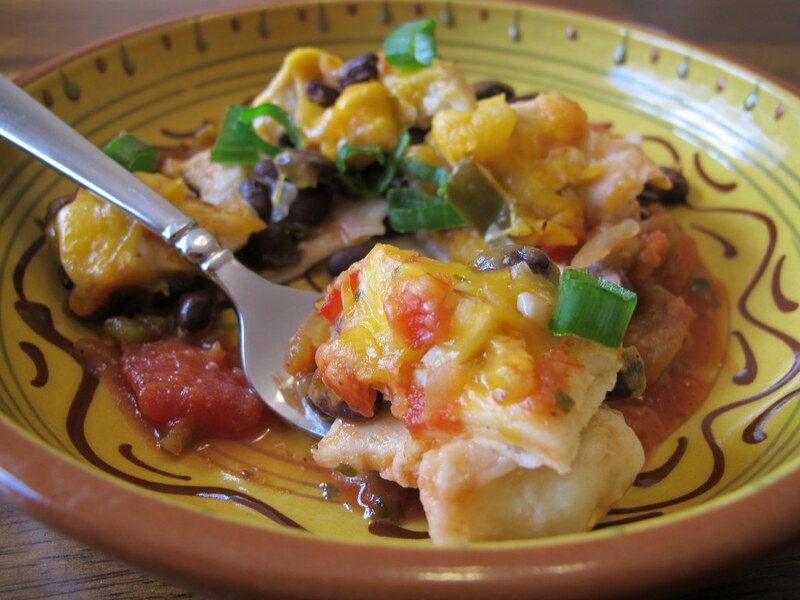 This dish is light and tasty and any fan of the Mexican cuisine will love it. Grease a cooking pan with cooking spray and cook the chicken. When cooked, set it aside. Grease a large skillet with cooking spray and cook the onion for about 8 minutes over Medium heat or until lightly browned, stirring occasionally. Add the cooked chicken and cook for 1 minute. 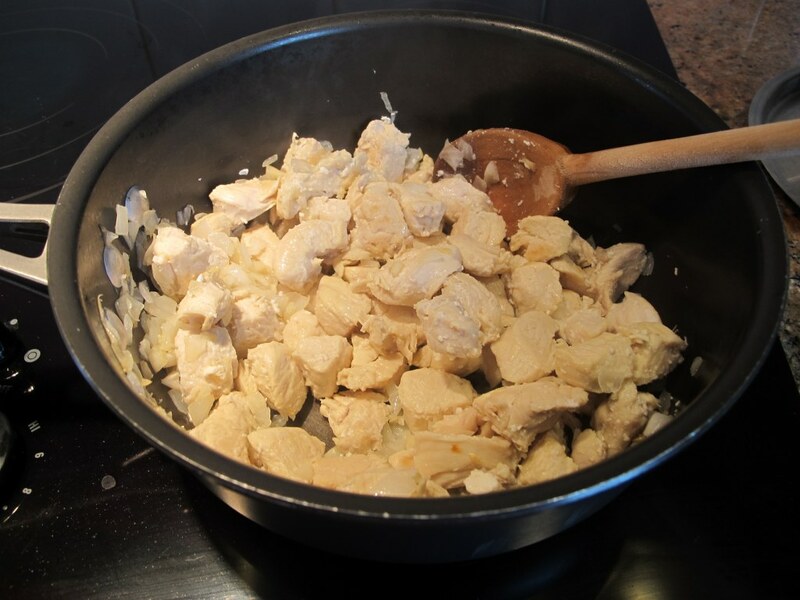 Transfer the chicken mixture to a bowl. Add the beans and then set it aside. In a medium saucepan, add the broth and salsa and bring it to a boil. Then reduce the heat and let it simmer for 5 minutes, stirring occasionally. Set it aside. Grease a 11 x 7 baking dish with cooking spray. Lay down 2 tortillas in the baking dish. Layer 1/2 of the chicken mixture over the tortillas. Place the remaining 2 tortillas over the chicken mixture. Layer the remaining 1/2 of the chicken mixture over the tortillas. Pour the salsa mixture over the chicken dish and then sprinkle with cheese. Bake in a preheated oven for 10 minutes or until the cheese is melted. This dish tastes best on the day you make it and I recommend serving it as soon as you take it out of the oven. I love how this dish only requires eight everyday ingredients. 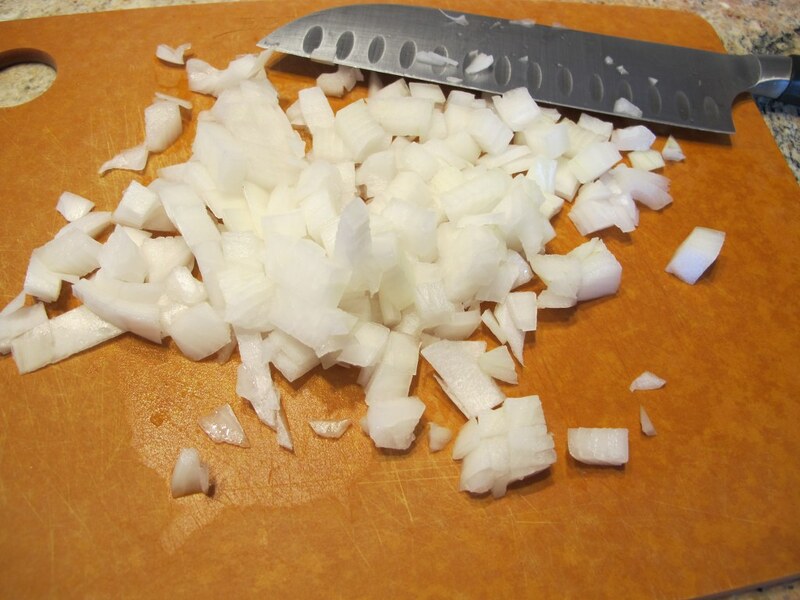 Let’s start with dicing the onion. 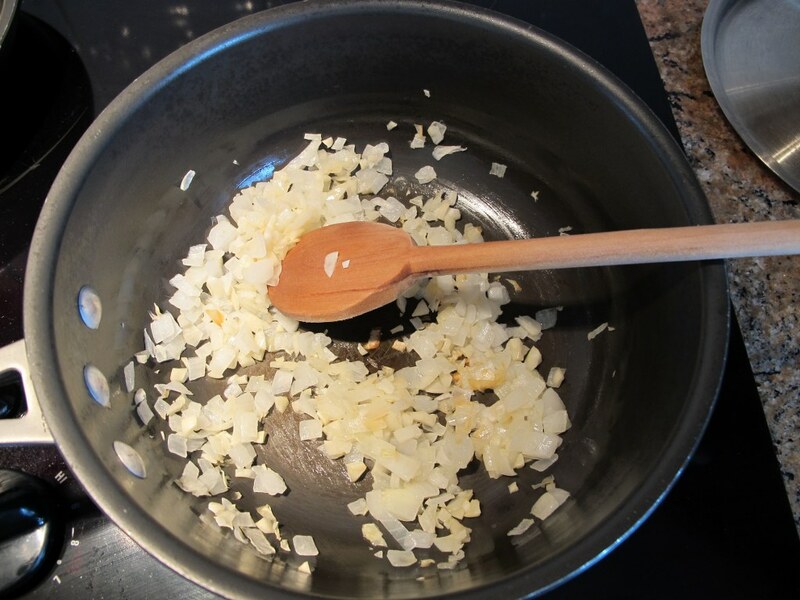 Then mince the garlic cloves. Cook the onion for about 8 minutes over Medium heat or until lightly browned, stirring occasionally. Add the garlic and cook for 1 minute. There is so much garlic in this dish that it’s making it smell wonderful in my kitchen already! Add the cooked chicken and cook for 1 minute with the onions and garlic. We like our chicken cut up into cubes but feel free to shred it if that’s what you prefer. Once you’ve removed the chicken mixture from the stove go ahead and add in the beans. I completely forgot to take a picture of the salsa and broth while they were cooking but it’s super simple. In a medium saucepan (not the one with the chicken and beans in it), add the broth and salsa and bring it to a boil. Then reduce the heat and let it simmer for 5 minutes, stirring occasionally. Grease an 11 x 7 baking pan with cooking spray and then simply layer according to the directions above. Easy cheesy! 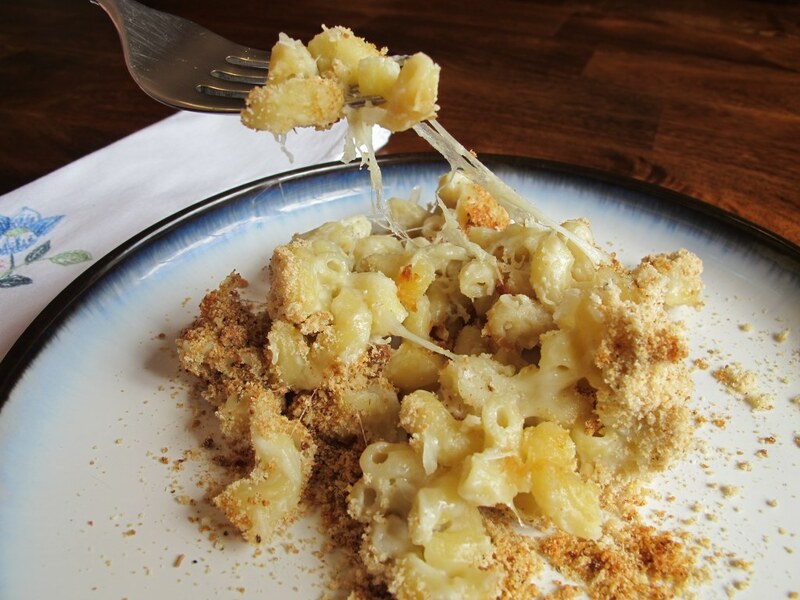 Literally, this dish is easy to make AND it’s filled with awesome cheesiness. 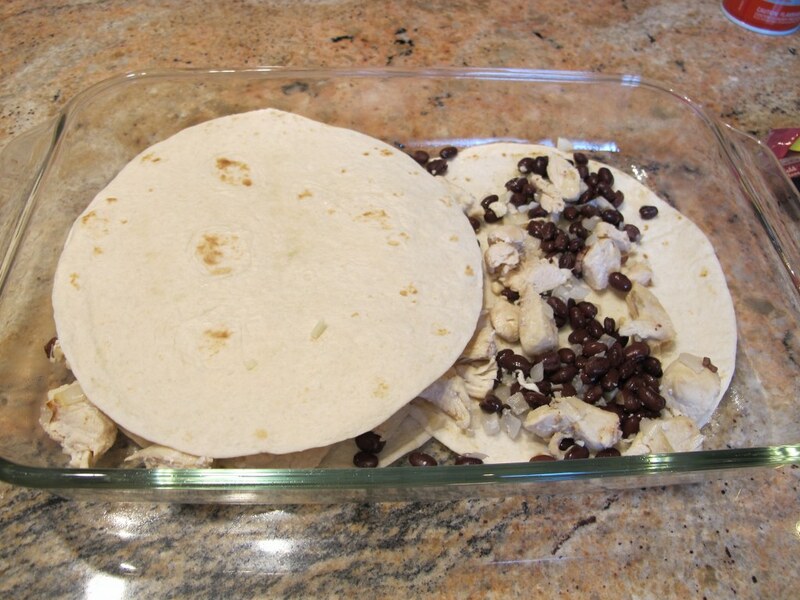 🙂 The below picture shows one layer of the tortillas, one layer of the black beans and chicken mixture, and the beginning of the additional layers to follow. Yum! Look at that wonderful cheese! For me, cheese is a huge part of a Mexican meal. 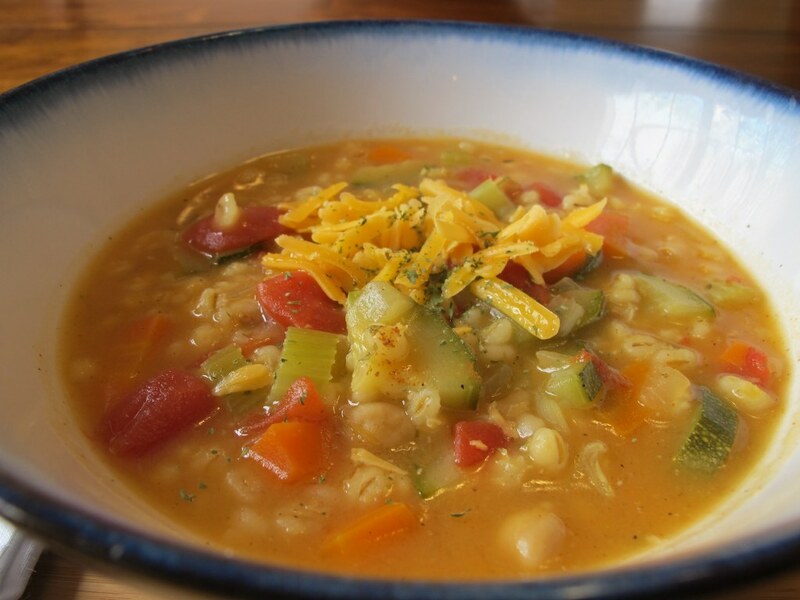 I used low fat cheese in this dish in order to cut down on the fat and calories. Good quality salsa really gives a dish exceptional flavor. I used Newman’s Own Medium Salsa. There are so many kinds of salsas on the market so choose your favorite. If you make your own salsa, by all means use that here if you like. I’m still looking for a great homemade salsa recipe to try. Anyone have any suggestions? 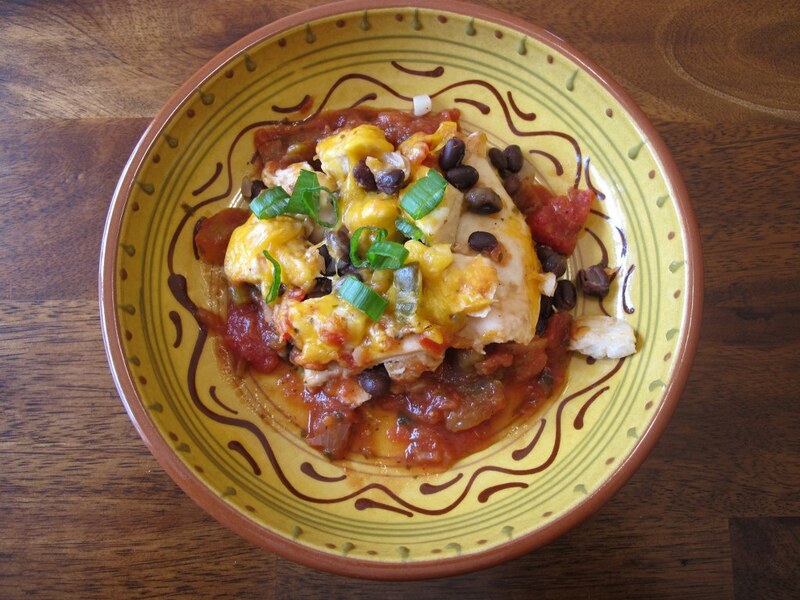 This dish is packed with protein from the hearty beans and tender chicken. I garnished it with chives and a little additional salsa (mmm, salsa). Note: Not a paid advertisement for Newman’s Own. I’m just sharing my opinion.